April is Distracted Driving Awareness Month. More and more attention is being given to teen drivers, who are the most at risk for distracted, impaired, and inexperienced driving habits, which often results in fatal or life-changing car accidents. However, the majority of automobile accidents involving teenaged drivers can be prevented with proper teen driving education. At the Law Offices of David Kohm, our attorneys are parents to teen drivers and know just how difficult it can be to educate them about safe driving. Where do you start? What do you cover? How much is too much? Use the following tips to help you teach your teen proper and safe techniques on the road. Driving after dark, when visibility is lessened and experience is low. Driving with friends and feel a need to show off. Driving while tired or drowsy. Drinking or using marijuana before getting behind the wheel. Prone to distracted driving habits, such as using their cell phone, eating, texting, or changing the radio. Remember, your child’s good driving habits start with you—your example, your education, and your discipline. Let’s face it—you’re a busy parent. You have school, your job, your family, and your children’s extracurricular activities to worry about every day. There’s often not enough time in the day to sit and relax, let alone to teach your teen to drive. Public driver’s education courses are the busy mom or dad’s lifesaver in these situations. A teen driving education course at a local driving school will teach your child the basics of being behind the wheel and will give them a foundation for safe driving habits. Once they know the basics and are able to get a few hours clocked behind the wheel, you can then instruct them further on your own time. Teenagers have the highest automobile accident rates of any other age group. 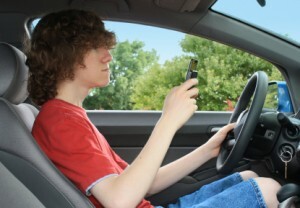 Texting accidents are often the main cause of a car accident involving a teen. In 2011, 23% of auto accidents were caused by cell phone use. Texting accidents are 23 times more likely to occur than any other use of a cell phone while driving. Most importantly, decide the consequences of not abiding by the contract. Bad or unsafe habits that get ignored or go unpunished will result in dangers for your teen and other drivers on the road. Until your teen was 15, you have driven them around. They have watched you and your driving habits all their life, absorbing your mannerisms, your techniques, and your attitude in the car. You should always assume that they are watching your every move when you’re in the driver’s seat. That being said, it’s important that you obey speed limits and all driving rules of the road at all times—if they see that breaking the law is okay for you to do, they’ll assume it’s also okay for them. That first year on the road is the most challenging. New situations will come up that your teen might not have been exposed to during their education course. For instance, driving in the rain, at night, or in congested traffic are all situations that would be best for your teen to experience while you are in the car with him to help coach them through. 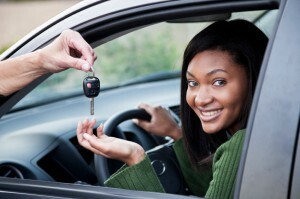 Remember, driving lessons should not end once your teenager gets his or her license. Always continue to monitor and model good driving behavior. You yourself have probably been in at least one car accident in your life—it’s true for just about everyone. If and when your teen has a fender bender (or a more serious accident), be assured that an excellent Arlington accident attorney is ready to represent your teen driver. Call the Law Offices of David Kohm at 817-204-0900 for a free consultation and professional assistance.